Good IT means managing and securing your systems – especially the Mac®, Windows®, and Linux® machines that employees use to complete their day-to-day work. At JumpCloud®, system management is a core capability of our identity and access management product, Directory-as-a-Service®. 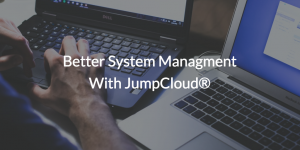 We’ve created this page both as an overview of system management in general and as an explanation of how organizations are achieving better system management using JumpCloud. 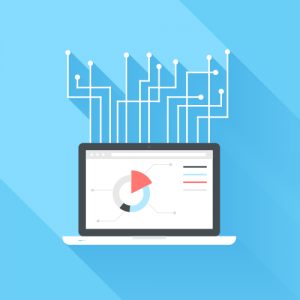 Simply put, system management is the configuration and control of devices. It can range from creating user and admin accounts to adjusting settings within the system OS, like how many seconds before the lock screen appears. System management can be done manually on an individual machine, but when we talk about defining system management as a term, we’re really talking about managing systems at scale, also known as system administration. In order to secure and manage hundreds or thousands of systems from one centralized admin console, system administrators (or sysadmins) will implement a more automated system management tool, such as a cloud-based directory service made to remotely deploy scripts and Policies while managing user accounts. More on that below. See our post What is System Management for a more in-depth definition. What makes enterprise-grade system administration so superior and indispensable isthecentralized, group-based management of systems. With a few clicks or lines of codes, sysadmins using system management tools such as directory services can establish rules and require all systems they’re managing to comply. For a broad overview, watch our whiteboard video explaining how policies work. Many sysadmins worry about resources that are protected only by a username/password – and rightfully so. That’s why adding security to your system management process is one of the most effective ways of securing identities and the resources that those identities can access. With the system as the gateway to IT resources, IT admins could add multi-factor authentication and full disk encryption to help secure access to the system and its resources. 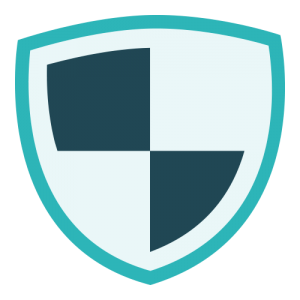 A hardened system—full disk encryption, MFA implemented, and a complex password—will always be more secure than a web-based portal that can be opened anywhere and spoofed (or phished). Whether Windows®, Mac®, or Linux®, leveraging the system as the gateway for authentication to resources is both safer and more powerful when compared to alternatives. Watch the video above for an overview of JumpCloud system management from our Chief Strategy Officer, Greg Keller. You can also learn more about JumpCloud system management by continuing to read below or visiting our product page. The modern office is more diverse than ever. Macs are the platform of preference for many users and Linux servers are beating out Windows in the data center and at Infrastructure-as-a-Service providers. For organizations with a combination of operating systems in use, cross-OS system management is a priority. The easier a process is for users, the easier life will be for the admins. For system management, that means seamless integration of the user identity with the system OS itself. This UI-forward approach is exemplified by the Mac System App. For instance, initiating a password change is as easy as clicking an icon on the menu bar. Already Have a JumpCloud Account? You can login to your Admin Console and get to work managing your systems. Contact us or visit the JumpCloud Knowledge Base for our documentation.